RIO GRANDE CITY — County commissioners’ approval of the 2017-18 budget wasn’t without conflict or confusion. Judge Eloy Vera joined fellow commissioner Ruben Saenz in voting against the budget on Monday, reasoning that he had yet to see an updated draft before the meeting. It wasn’t clear as of press time Monday why Saenz opted against the budget as presented. “As budget officer, I want to say that this is the first time I see it,” Vera said of the budget, of which county officials have yet to release or confirm its total. In addition to being unfamiliar with the budget updates, Vera took issue with the figure totaling the county’s debt. The $1.5 million in question is from loans that were taken out earlier this year. Vera also noted that the county has $2.5 million in the I&S, the debt-service fund which is used to pay off debts. 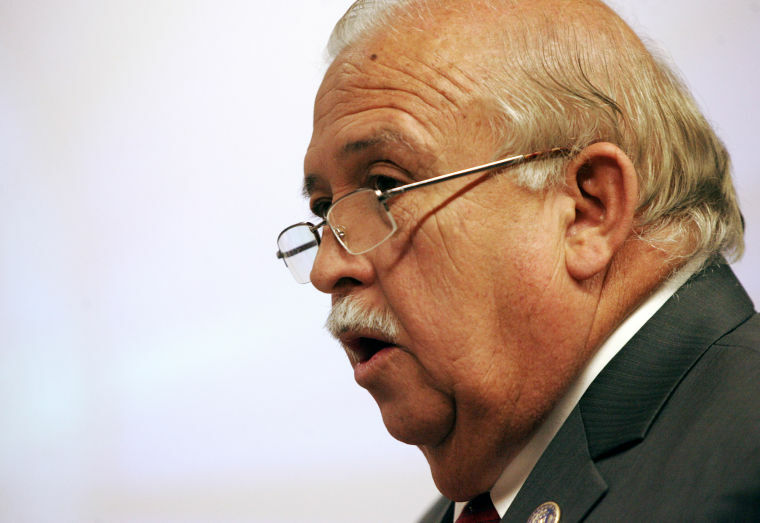 However, County Treasurer Fernando Peña disagreed, stating later that it was, in fact, debt. Vera said after the meeting that he believed the “debt” was being used as justification for cuts in personnel. The judge’s department was cut by 37 percent and the sheriff’s office was cut by almost 20 percent, according to Vera. He said the county’s only permit inspector for construction was cut, as well as its bookkeeper for the gas and transfer station, and two of Vera’s administrative assistants. The budget cuts, according to Vera, were deeper than discussed during a workshop held last week. Because the changes were new to him, Vera said he could not provide a budget figure. Boyd Carter, the interim county auditor, could also not provide a total figure for the county’s projected expenses. However, he did note that the projected tax revenue was $13,047,302. Carter said the budget was not yet available, as not all the commissioners had signed it.